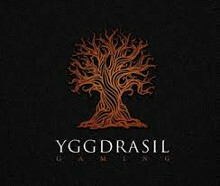 Formed in 2013, Yggdrasil Gaming is a provider of online and mobile slots, but also provides lottery content to online sites. In addition, Yggdrasil provides HTML5 platforms to casinos to allow them to release mobile and desktop games simultaneously. Yggdrasil's reach is wide - it has offices in Malta and Poland - but the developer's influence is all over the casino industry. Yggdrasil's superb 3D slots now boost the games lobbies of some of the Internet's biggest and best casinos. With an HQ in Malta - and a gaming license to boot - Yggdrasil might sound like a cough mixture (it's actually named after a mythical tree from Norse legend) but it's been developing some of the slickest slots for a few years. The Yggdrasil team is small - 25 split between the Malta and Polish offices - but the firm now provides games to some massive online casinos like Unibet, Vera&John, LeoVegas, and Mr Green. Various innovations like the Infinite API interface are also Yggdrasil babies, while the firm's 'Super Free Spins' feature lets online casinos manipulate its slots to permit infinite free spins if it wants. The firm has wasted no time in signing all-important agreements with igaming partners, most notable in 2015 when it signed on with 11 operators. In addition, six new operators signed up to offer the popular Yggdrasil progressive slot, Joker Millions. To recognise the developer's efforst in the iGaming industry, Yggdrasil was awarded a 'Rising Star' gong at 2015's EGR B2B Awards. To add to the firm's 'statement of intent', Yggdrasil has now (probably wisely) shut down its Curacao license to concentrate on its new Malta and UK ones. Slick 3D graphics and animation are the main features of Yggdrasil slots. Many of the developer's best and most popular slots were released in 2015, including Vikings Go Wild, a fun animated take on the Vikings sagas which includes interesting characters and monsters. Cyrus the Virus and Chibeasties were also released in 2014, with games now offered in 24 languages across the world. Chibeasties - released in 2015 - features similar high-quality graphics to Cazino Zeppelin and Cyrus the Virus and features a magical forest packed with strange-looking monsters. The free spins mode includes an expanding symbol that stays expanded for the duration of the round. As with the developer's other titles Chibeasties features lush HD sound and colours. Holmes and the Stolen Stones was Yggdrasil's newest release (at time of writing), brought out in September 2015 for desktop and mobile at the same time. The action-packed slot follows the famous detective as he hunts the missing stones. The game features free spins and a progressive jackpot bonus round. However, Joker Millions is perhaps Yggdrasil's biggest progressive jackpot slot. The classic-style slot paid out a top prize worth €720,000 in 2015 with the progressive feature triggering once the whole 3x5 game screen is filled with jackpot icons. While some top online slots would alone warrant Yggdrasil's standing, the developer also designs video scratchcard games and 3D keno for online casinos, as well as two lotto games. A Daily Live Lotto game is broadcast from Malta and utilises Yggdrasil software. The daily game boasts a guaranteed 2.5-million Euro progressive jackpot. Yggdrasil has developed its iSENSE 2.0 platform, and HTML5 interface that lets casino operators launch slots on desktop and mobile sites at the same time. It also provides its Infinite API platform, which allows casinos to interact better with customers.